Hey friends! I love winter, but even I’m starting to feel a little cooped up! During the warm months, we will often do picnics or even just eat in the backyard on a blanket to help spice up lunch time! 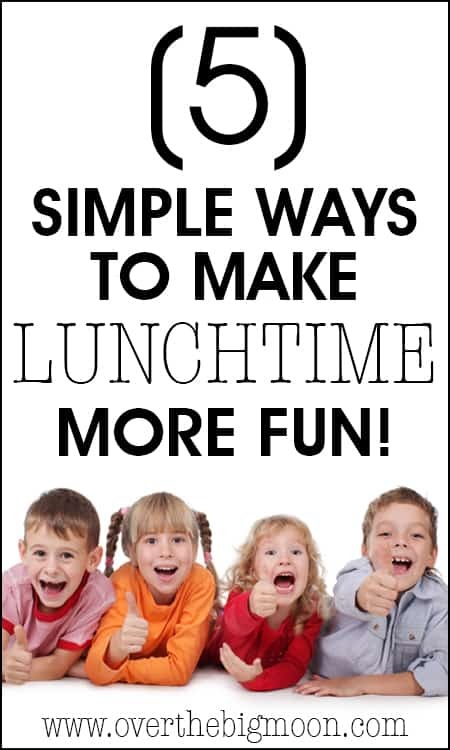 Over Winter Break we were all bouncing off the walls, so I pulled out some fun lunch tricks! Today I am going to share with you 5 Simple Ways to Make Lunchtime More Fun! 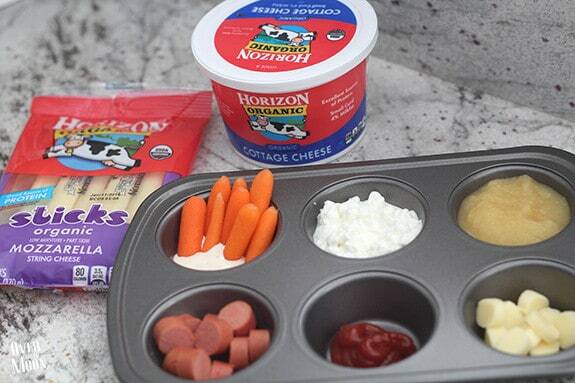 These have also come in super handy, because my daughter has entered the picky eating stage! I really thought there was a chance we were going to skip it, but nope! It arrived about a month ago. She’s become way more opinionated and wants to bird eat all day and I’m just plain exhausted! Generally when I use these tricks my kids eat more, which hopefully results with them not being back in my kitchen 30 mins to an hour later too! My kids love eating things when they are mini! Plus, they tend to eat more too! You can easily do this with sandwiches, hot dogs, lunch meat rolls, cheese pizzas (quesadillas), etc! Just cut it up small and serve! My sons favorite is cutting cheese pizzas into tiny pieces! 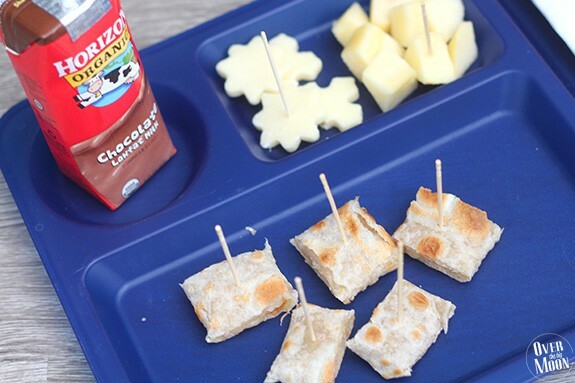 Add some cheese shapes, fruit and a fun drink your kids will be stoked! I’ve used this trick since my oldest was a toddler! 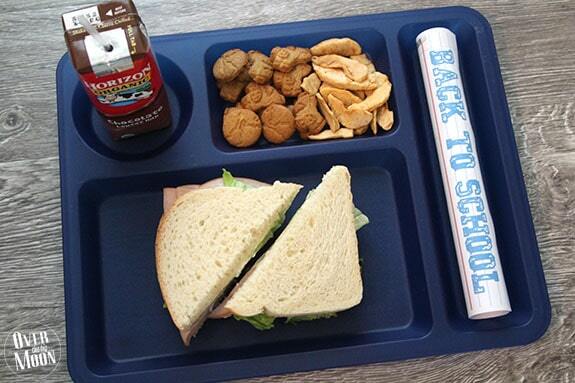 Serving your lunch on something, besides a plate always helps make lunch more fun! 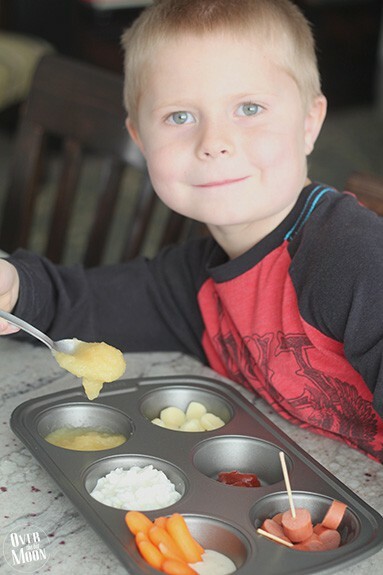 I use a 6 spot – cupcake pans and fill each area with a little of several foods! It’s always a hit! 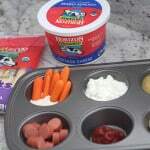 Last year I picked up some school trays at the store (I used them in my Back to School Lunch Letter post) and my kids have loved them and they are definitely more fun than a tradition plate! I have done this quite a bit over the years! It’s even fun to incorporate for holidays! 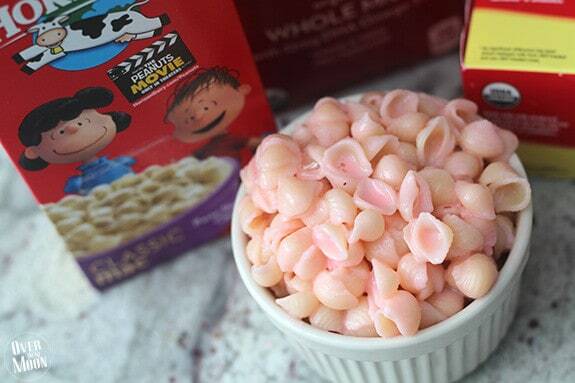 Being that Valentine’s Day is our next holiday, it would be super fun make pink Mac N’ Cheese for lunch! I chose a White Cheddar Mac N’ Cheese, because I knew it would color easier. Then just throw in a couple drops of food coloring. They even have natural food colorings now, if that is something that interests you. Some other things you could color: pancakes, spaghetti noodles, rice, cakes/cupcakes, applesauce, eggs, butter, cottage cheese, yogurt, milk (to drink or in cereal), etc! Toothpick eating is even still a hit with my 5 year old! They even have fancy themed food picks now, that are fun. But, we keep it simple and disposable around here and I just use a simple toothpick! I know this sometimes might be a little more stress then a help, but my kids love “creating” their own meals! My 5 year especially loves to do this! And it’s so fun seeing what they come up with! Of course you will want to manage the situation, but by just letting them pick and mix things together that you wouldn’t necessarily makes it extra fun for them! 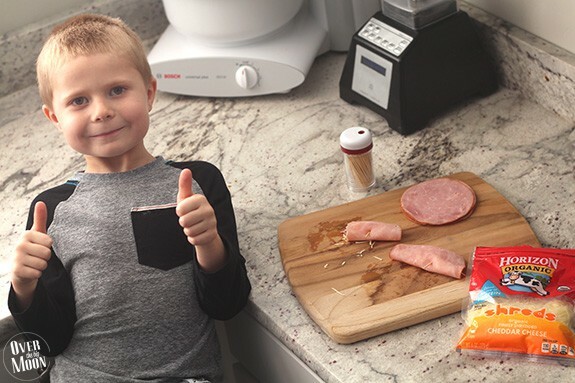 My son created “Meat with Cheese” last year and it is still a go-to lunch around here. Before this, he fought me tooth and nail on eating lunch meat. I’d try making him ham or turkey sandwiches and I always got complaints and he’d waste half of it. 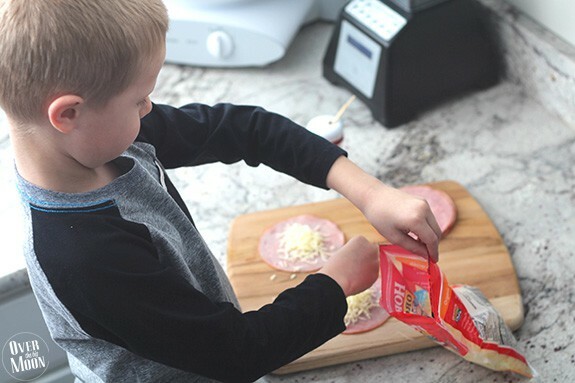 Then one day I told him to “go ahead make your own lunch then,” he pulled out the Ham and got shredded cheese. Put the cheese in the center of the meat, rolled it up and took a bite! I added the toothpick to hold it together and the rest is history! I hope you guys have a great rest of the winter and that some of these ideas help make your lunches a little more fun! And don’t forget these ideas once the heat rolls around, because really all these ideas are perfect for year round lunches! 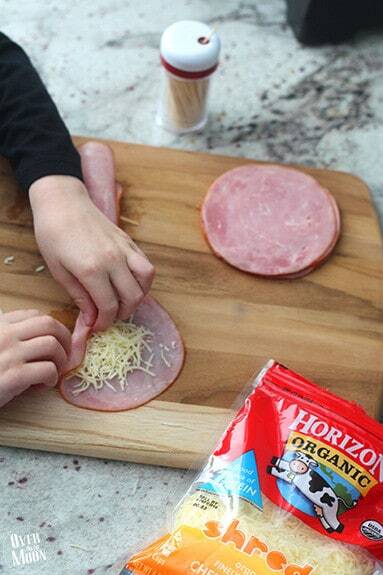 Make sure and visit Horizon Organics on Facebook, Instagram, Twitter, and Pinterest! Those are great ideas. My kids are getting bored of the same old stuff. They will love these ideas. If you can find a way to put a face on stuff that makes lunch fun too. I love having the kids get involved. I feel like they’re so much more likely to eat it if they help make it. 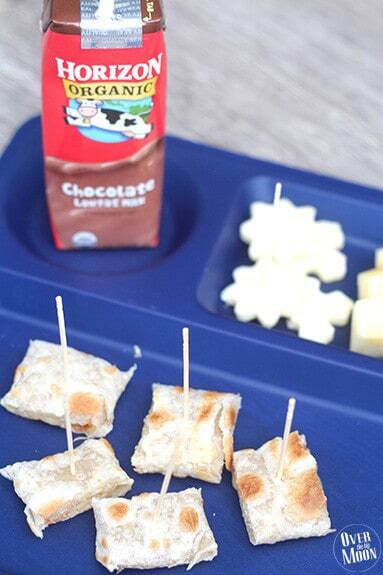 We love the bento boxes–same idea, just down thing fun and different to help the kids get excited about their meal! Thanks for all of these great ideas!